Longtime blog followers will know that I have written a lot about the vow of poverty. It is very misunderstood, often neglected, and rarely means much in our practical lives as friars. We are told we must live chastity and obedience without any exception, but poverty? Well… that’s a big more complicated, we say. We sort of “grow into” that one. On the one hand, I understand why. As opposed to the other two, poverty has an all-encompassing yet difficult to define nature. It involves material possession and acts of will alike, and there is hardly a proper measuring stick to grade one’s performance. While chastity and obedience might be said to be goods in their own right, poverty is more often something we speak about in a negative sense: it is something we must eradicate, and freely taking it on is merely a pathway to something else. It is also the most visible of our vows, something that people can see (and judge) from the outside without a full picture. Seeing my laptop, camera, house, car, and vacation, some have taken it upon themselves to criticize my life, to call me a fake or a fraud, and to explain to me what true poverty is. Just like the vow itself, the answer is muddied and complex. In one sense, yeah, people are right. We could do better. This vow is a bit of a joke at times and we just sort of accept that we mean something different than the rest of the world does. We are not poor and can never be poor like those who are financially desperate. Our voluntary poverty often lacks a sense of stress or pressure, and the lack of urgency in living it means that we rarely feel any spiritual effects from it. And yet, what we profess to live is not abject poverty. What we give up is not the use of material goods. How, really, could someone live without anything? This image of religious life—one of the strictest austerity and deprecation—is not a virtue as much as it is actually an idol, focusing our attention on something that is not God rather than using it to lead us to God. The vow of poverty, if exclusively about the amount of material possessions one owns, runs the risk of turning into a weapon to empower or belittle, to put ourselves above or below others. When its ultimate focus is not what is beyond—a life lived in Christ with humility—it is not longer a vow worth taking. My hope is that this week’s video will help continue the conversation that I have already started here. If you would like to read more about this topic, below you will find links to a four-part series I wrote a number of years ago. Outside of rare circumstances, all priests in the Catholic Church are required to be celibate. You can choose ordination or marriage, but not both. For many, this is a heavy burden to carry, requiring one to either be “heroic” in their denial of the goods of marriage, sacrificing what many want in order to serve the faithful. For many, this burden is simply too much, and is cited as a major reason for the lack of priests in the modern world. And maybe it is. Maybe some who are married should be allowed to be ordained as well. Being that clerical celibacy is a discipline of the Church and not a doctrine or dogma, it’s conceivable that we could see a change in the future. But that is a question for someone else. For me, the more interesting question is not whether those who are married should be allowed ordination, but why the practice was instituted in the first place and what benefit has the Church seen in it for centuries. Time and time again people have questioned it, and time and time again the Church has maintained it. Why? What’s so important about it? After taking a course called Ordained Ministries, and with the help of Msgr. Paul McPartlan, esteemed member of the Catholic University of America faculty, I want to suggest something rarely stated on the matter: celibacy is a gift to the priest and the people of God. That’s right: a gift. While the idea of going one’s entire life without getting married or experiencing the joy of having kids is certainly difficult for some, the idea that celibacy is simply a “means to an end” and that it has no merit in itself lacks vision, imagination, and an understanding of the reason for the practice in the first place. For subscribers on email, click here to watch the video. 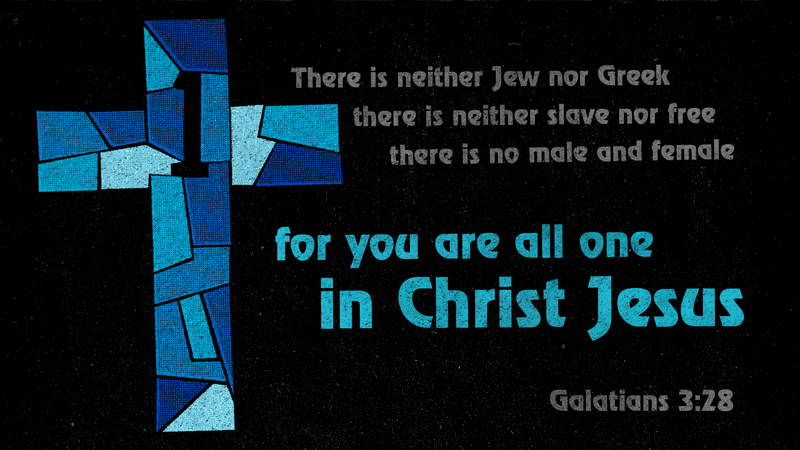 In Christ, we are all one: Jew and Greek, slave and free, male and female, priest and lay. Being a friar is a commitment that defines who we are and how we live; it says nothing about what we do as a profession. Some friars have been identified publicly as ordained ministers and therefore do sacramental work, but other friars work as teachers, painters, chaplains, spiritual directors, writers, principles, accountants, justice and peace advocates, caretakers, administrators, tradesmen, groundskeepers, counselors, and musicians. These professions no doubt add another layer to one’s personal identity. There’s no denying that. But what I’d like to argue is that our primary identity is our vocation as friars, and that what we do, while important while we’re doing it, is secondary and altogether temporary. It’s my opinion, just like the mother who is always a mother but only a CEO when at work, that we as friars are always brothers, and only acting in persona christi, that is, set apart from the rest of the congregation as a stand-in for Christ, when we are performing priestly duties. The fact that a friar is ordained should bear absolutely no weight within a fraternity in regards to duties, responsibilities, privileges, or respect, outside of his duties directly related to sacramental ministry. At all other times, he is called to a life of humility and mutuality with each of his brothers, always remembering that his vows are the same as everyone else’s. In this way, I am always reminded of the funny, and yet powerful question one of our friars often asks new or perspective guys: “So, are you going to be a brother, or just a priest?” In one sense, it is a comical deflection of a potentially frustrating situation that helps to ease any tensions. In another, it helps to capture the core priorities of our charism: Are you going to remain faithful to your fraternity and all of its needs, or are you going to leave your brothers behind to pursue “better” opportunities? As I continue to feel myself called to ordained ministry as a priest in the Catholic Church, I must remind myself of this question daily. No matter where God may lead me in terms of ministerial duties, I still have a duty to be humble, present, and responsible for all of my brothers. For another perspective on this topic, I suggest reading this article written by my classmate, Br. Ramon Razon, ofm, who has accepted a call to be a religious brother.